Very cool “Google” doodles !! Since 1998 “Google” is dedicating “Google Doodles” in the honor of some celebrities or events. The first doodle was in honor of the Burning Man Festival, it was designed by Larry Page and Sergey Brin to notify users of their absence in case the servers crashed. 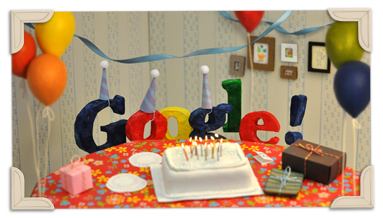 “Google Doodles” have been produced frequently for different interesting events and birthdays, also doodles have been used for “Google” events its own anniversary. the les paul doodle was amazing !